The Skala coffee table goes hand in hand with our Skala side table, though it’s impressive design is more than enough to make it a stand-out piece on its own. Not only is the unique design aesthetically pleasing, but it’s incredibly practical too. With a large table top and a good size shelf underneath, there’s plenty of room to use for display purposes i.e. magazines or company merchandise, as well as a space for tidying away any miscellaneous items and keeping everything in one space. If you’re looking for something to add a strong, modern feature to your office space, then the Skala coffee table comes highly recommended. 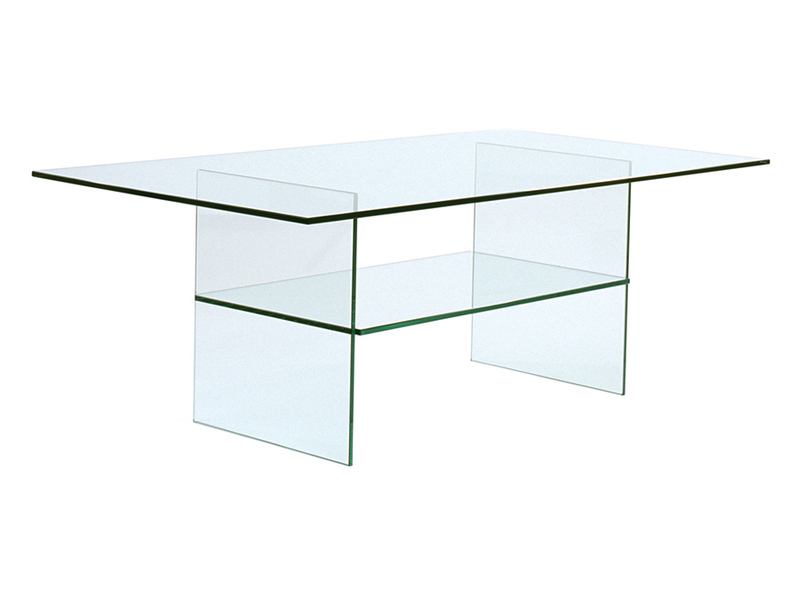 The Skala coffee table measures at 1200mm x 700mm x 420mm, and is made entirely of 12mm clear toughened glass. As with all of our other designs, the Skala coffee table can be custom made using our bespoke design service, if you have any specific size requirements.